this giftpack contains : 2 fl bernardus abt 33 cl2 fl bernardus prior 33 cl2 fl bernardus tripe..
this giftpack 1 bottle bertinchamps blond-1 bottle bertinchamps triple - 1 bottle bertinchamps brown.. 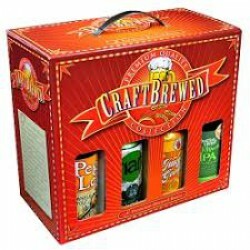 This giftpack contains 4 bottles Boerken & Boerinneke 33cl + 2 glassesstyle: blond (boerinneke),.. This giftpack contains 1 bottle 75 cl including 2 original glasses style: red-brown conten..
the giftpack contains 2fl brugse zot blond + 2 fl brugse zot brown + original glasstype: blond..
this tube contains 1 bottle brugse zot blond 75 cltype: blondcontent: 75 clalc. : 6 °brewery: d..
the metallic box contains 1 bottle brugse zot brown 75 clstyle : browncontent : 75 clalc : 7.5°brewe..
this giftpack content 4fl bush de noel + 1 original glass style : browncontent : 4x33 clalc : 1..
this giftpack contains : 2 bottles chimay red-2fl chimay bleu-2 bottles chimay whitestyle : trappist..
style : browncontent : 3lalc : 9°brewery : abbey de chimay..
this giftpack contains 4 bottles + 1 original glassstyle: blondcontent: 4x330ml alc. : 8,5° ..
this tube contains a bottle Delirium Tremens 75clstyle: blondecontenu: 1 bottle 75clalc. : 8,5%brewer..
cet giftpack contains 1 bottle Deus Brut des Flandres + 2 original glasses style: blond co..
this giftpack contains 4 bottles Duvel 33cl including an original glassstyle: blondecontenu: 4x33cla..
this giftpack contains 6 bottles Duvel + 1 original glassstyle: blonde content: 6x33clalc. : 8,5..